The 2018 Michigan Entrepreneurial & Investment Landscape Guide is the state’s only comprehensive compilation of angel organizations, venture capital firms, entrepreneurial support organizations, and service providers active in Michigan’s growing entrepreneurial and investment community. In addition to the Guide, MVCA hosts an interactive Landscape Map on its website that allows users to navigate all the resources featured in the Guide by geographic location, industry sector, and organization type. Together, these tools provide people with the information needed to connect with Michigan’s entrepreneurial and investment community efficiently. 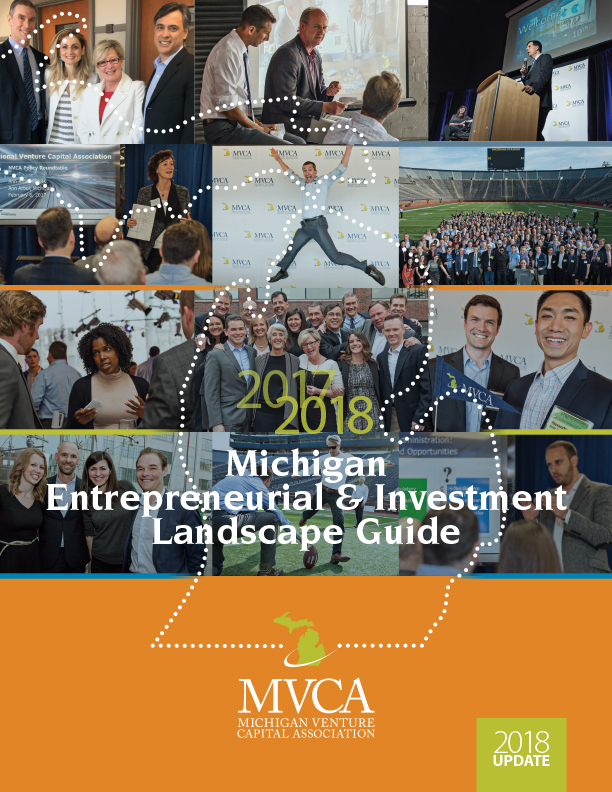 Download the 2018 Michigan Entrepreneurial & Investment Landscape Guide!